Hello, friends! 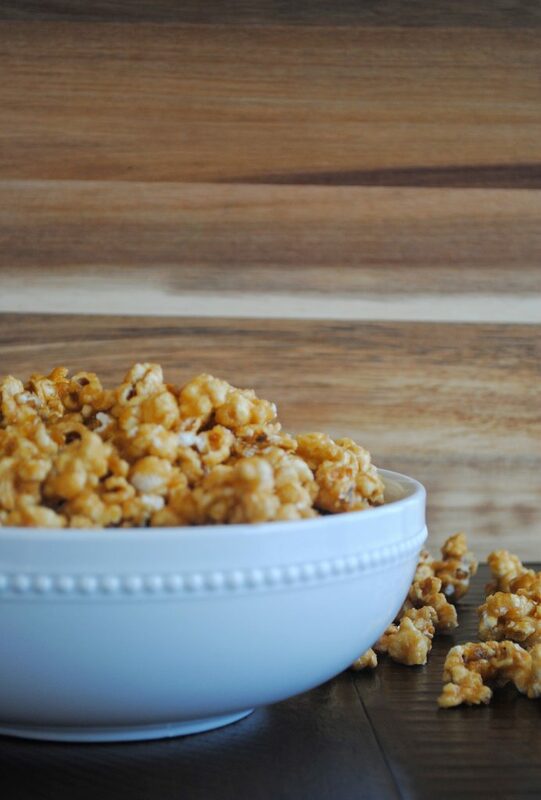 We’re talking caramel corn on the blog today! Let’s just be real. It’s not certainly not Whole 30 or clean eating, but it sure is tasty! 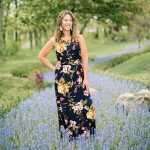 I’m all for healthy and becoming more aware of the things we put in our bodies, but I also believe balance is a great thing. 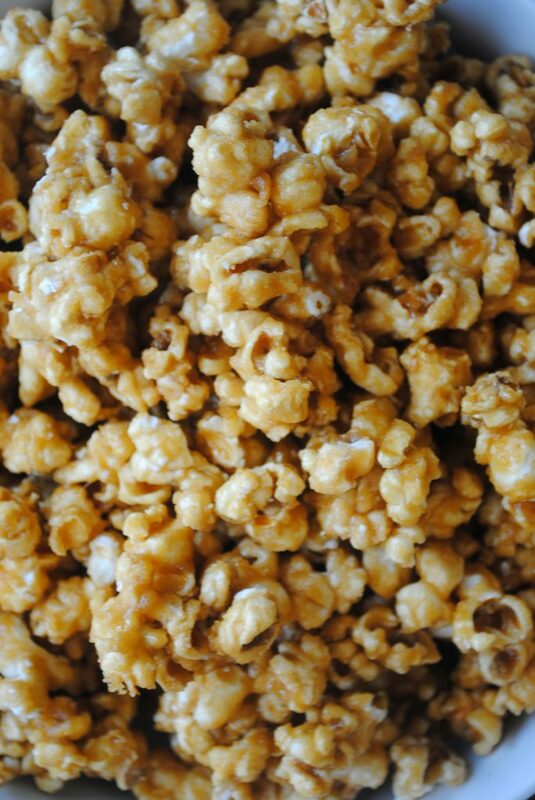 A super difficult thing, (especially when there’s a giant vat of delicious caramel corn sitting in front of you) but an important thing nonetheless. Eat the carrots, friends, but lets eat the caramel corn some, too! It’s fall which means the start of baking, holiday gatherings, and all the seasonal activities! 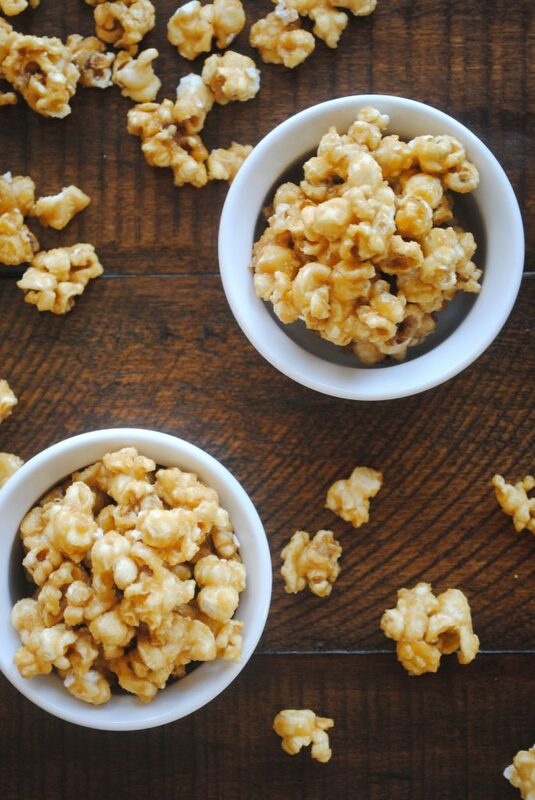 Caramel corn is a perfect recipe for all your seasonal snacking and desserts! It’s one of those foods that evokes memories of childhood for me. My mom used to make this for us growing up. And I will forever think of sitting by our fireplace playing rummy, lazy Sunday afternoons with the house smelling of caramel corn, and treat bags. It was one of my absolute favorite snacks to bring to school parties and special activities. I actually had a teacher love it so much, she would request it during snack sign ups! The recipe is simple. First, preheat oven to 250. Pop and salt popcorn. Bring butter, brown sugar, Karo Syrup, cream of tarter, and baking soda to a boil on the stove stirring frequently. Next pour mixture over popcorn. 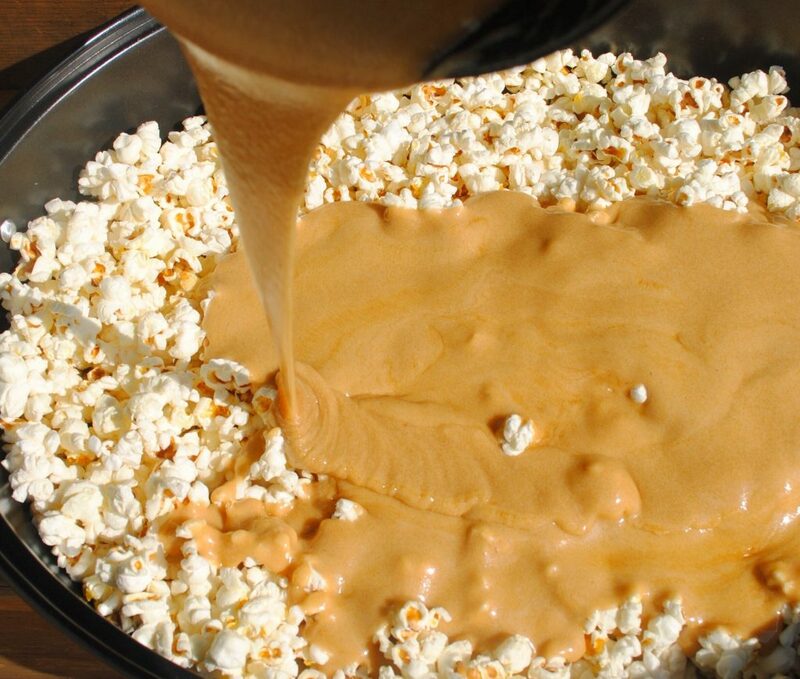 Stir to evenly distribute caramel over the popcorn. Bake for 1 1/2 hours stirring every 15 minutes. Instant Pot applesauce is another freezable treat! Yum!! And LOVE that it’s freezer friendly!! That’s so amazing! Thank you!! Yes, I do, too!! I love to make double batches of things and pop some in the freezer for later! !